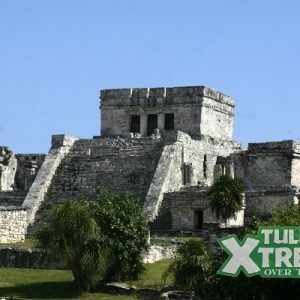 If you are staying in Cancun and want to see Tulum Ruins in style this is how you do it! 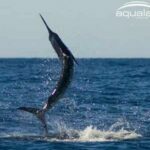 This tour packs a lot of action into one days worth of activities with a high flying sense of luxury. 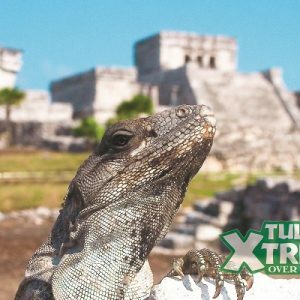 The morning of your tour you will be picked up in a air conditioned transport vehicle and taken to Mayan Jungle where your adventure begins! You will first arrive to a private eco reserve in the middle the of the jungle. 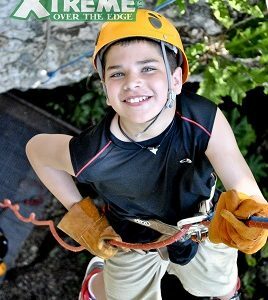 Once there you will be greeted by an amazing staff that will send you zip lining high above the tree tops on a three circuit track. 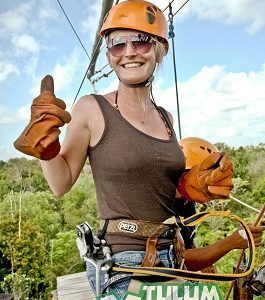 After you arrive back to the ground you will taken right back up again to experience a 60 foot rappel from a secure platform in the jungle. 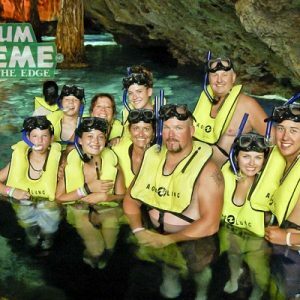 From here the day keeps getting better as you enter an underground cavern cenote where you will have a chance to snorkel. 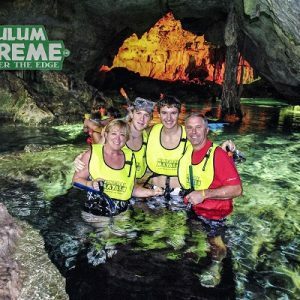 This private cenote boasts massive stalactites hanging from the ceiling with a very unique cave system. 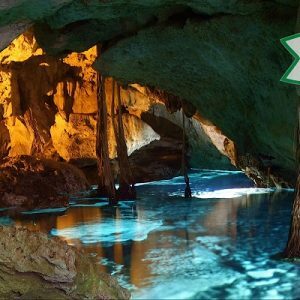 Your guide will show you all the underground beauty and explain the cavern. After that you will eat a delicious buffet lunch inside a mosquito free gazebo in the middle of the jungle. 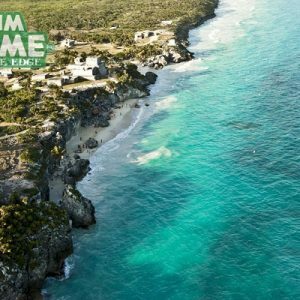 It is here where you will enjoy a meal, share you experiences, soak in the sounds of nature and prepare for Tulum. 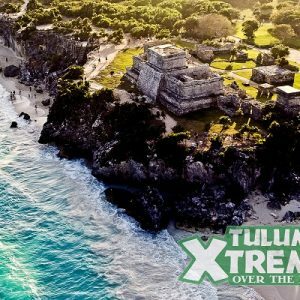 Once lunch is finished you will be driven to the famous Mayan archeological site of Tulum where you will enjoy 1 hour with a guide and 45 minutes without. 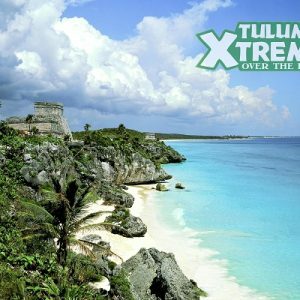 Getting to visit this magical Mayan site will surely be a highlight to your trip and a perfect end to an adventurous day. 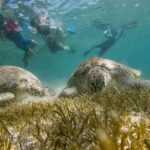 If you looking for a day full of action and history, reserve this tour now. 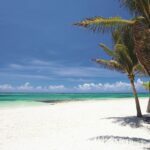 Hotel pick up approximately 7:00 – 8:30 a.m., Tour returns between 4:30 – 5:00 p.m.
Swimwear, Biodegradable Sunscreen and repellant, Money for tips, Comfortable Footwear, Camera, Towel. 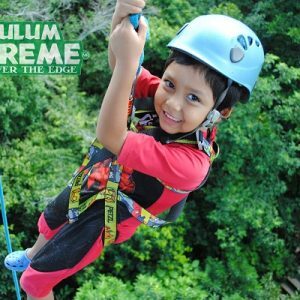 Maximum weight allowed per participant for zipline and rappel is 135 kilos / 300 lbs approx. 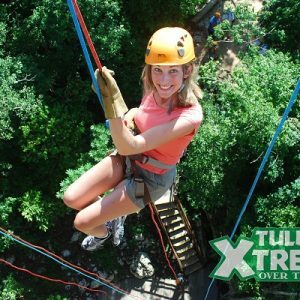 This tour is not suitable for people that have a severe physical handicap, people with heart problems, pregnant women, or people that cannot handle moderate physical activity. 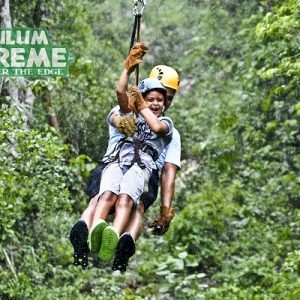 Children under 6 may only participate under direct supervision and responsibility of parent of family member. People under the influence of alcohol may not participate on this tour.